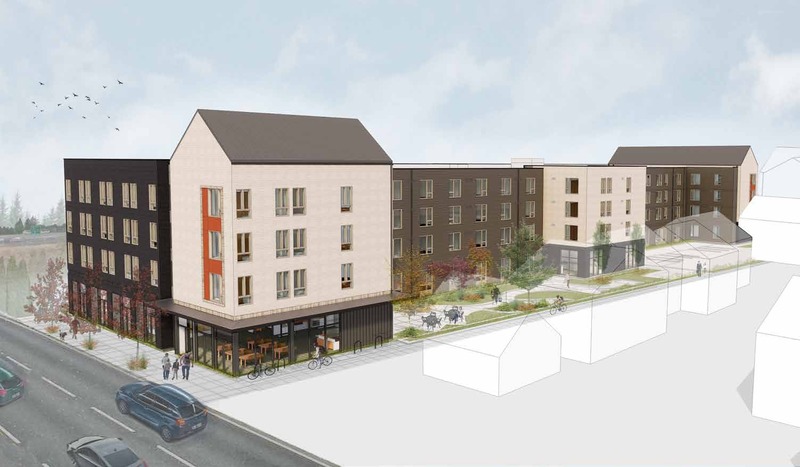 The Design Commission has approved a four story affordable housing development at 9747 NE Glisan St, in the Gateway Plan District. 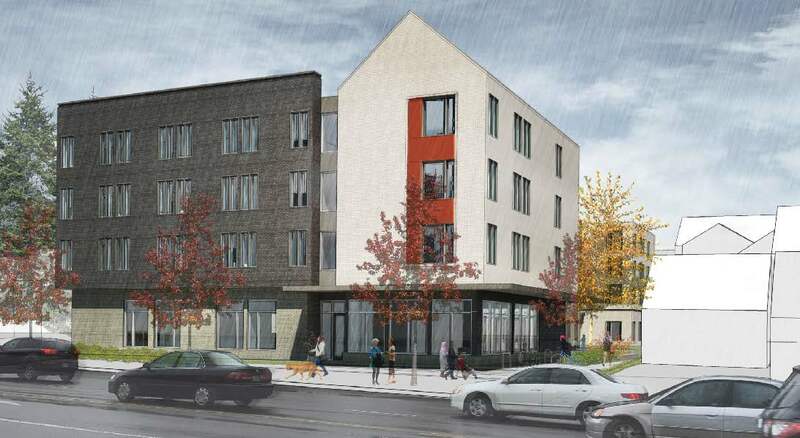 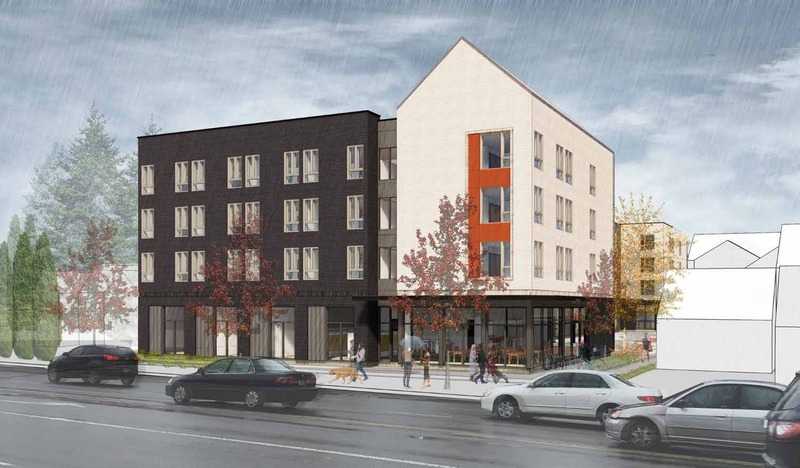 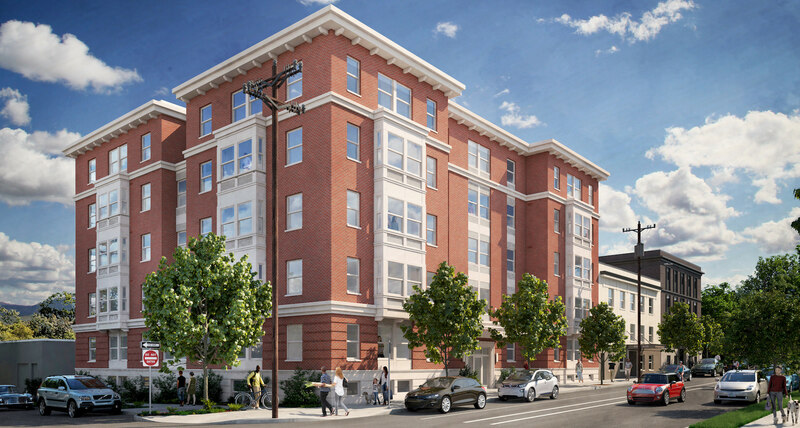 The 159-unit building is being designed by MWA Architects for Northwest Housing Alternatives. 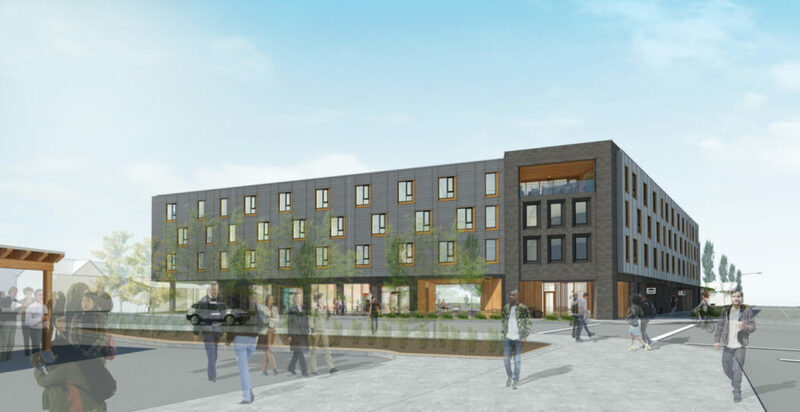 The building will include nine vehicular parking space in a small surface parking lot and 175 bicycle parking spaces in secure bike rooms.